The Department of Finance (DOF) thanked Monday both houses of the Congress for the passage of the first package of the Duterte administration’s comprehensive tax reform program (CTRP) that has made the government’s tax effort at par with the best-managed economies in the region and brought a total of P70.8 billion back to the people’s pockets in terms of personal income tax reductions in the first seven months of 2018. Finance Secretary Carlos Dominguez III said this first CTRP tranche—the Tax Reform for Acceleration and Inclusion Act (TRAIN)–along with the rest of the tax reform packages now pending in the Congress will provide additional revenue streams for the government to sustain its aggressive spending on infrastructure and development of the country’s human capital. In presenting the DOF’s proposed 2019 budget, Dominguez told the Senate Committee on Finance that aside from tax reform, his Department has likewise been engaged in pushing further reforms to reduce red tape and curb corruption, broaden the base of the financial system, facilitate new and disruptive technologies, and negotiate Official Development Assistance in support of the “Build, Build, Build” infrastructure program. The DOF proposed budget for 2019 of P18.68 billion based on the old, obligation-based budget is 3 percent lower than the current year’s P19.31 billion. But under the new cash-based system, the total proposed budget of the DOF for 2019 amounts to P56.86 billion, which includes the DOF’s budgetary support for government-owned and controlled corporations (GOCCs) at P36.60 billion; automatic appropriations of P1.37 billion for the Department’s retirement and life insurance premiums, and special accounts in the General Fund for several programs of its attached agencies—the Bureau of Customs (BOC) and Insurance Commission (IC); and unprogrammed appropriations of P210 million for the refund of the service development fee for the Philippines’ Nampedai property in Japan. “This administration and the DOF are committed to maintaining fiscal stability, achieving revenue targets, and driving strong economic growth – all for the benefit of the Filipino people. We hope this body will enable us to deliver on this commitment by approving this Department’s proposed 2019 budget,” Dominguez said in his presentation of the DOF’s proposed budget before the Senate finance committee. Chaired by Senator Loren Legarda, the finance committee approved the DOF budget immediately after Dominguez’s presentation. Legarda said her questions about the DOF and its plans for 2019 were already answered in an earlier briefing held with the economic team. In his presentation, Dominguez told the committee that on top of being engaged in a broad range of reform efforts, the DOF also made history last year by collecting the biggest tax settlement amount ever of P30 billion from an errant cigarette manufacturer as a result of the heightened joint campaign by revenue agencies against tax cheats. The lasting effect of this effort is the increase in the collection of excise taxes on cigarettes, by an average of around P2.5 billion a month. Capping these achievements is the passage of TRAIN in December last year, which led to a rise in the country’s revenue effort of 17.12 percent of GDP, the highest first-semester revenue effort ever achieved by the government. 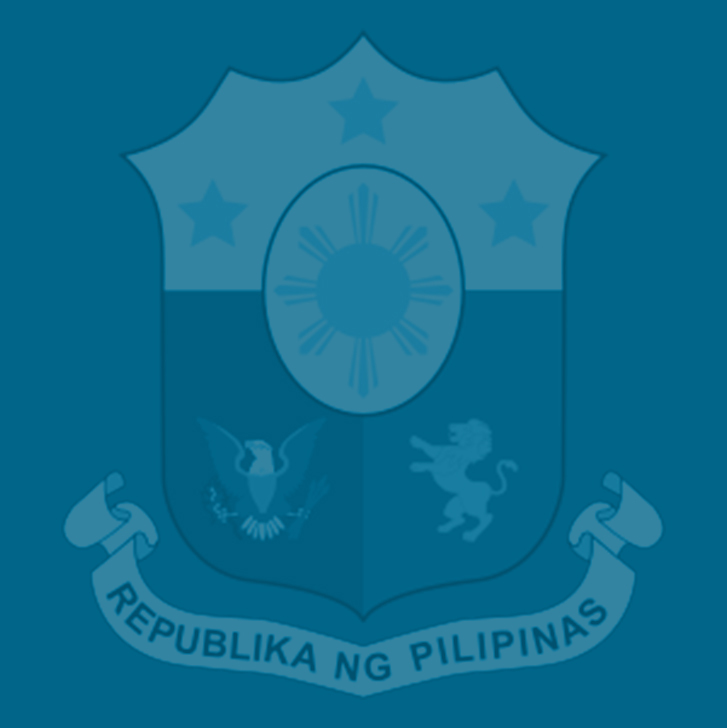 (The revenue effort is computed as the ratio of the national government’s revenue collection to the country’s gross domestic product). The tax effort (or the ratio of the actual taxes collected to the projected tax revenue) also improved from 14.22 percent to 15.23 percent, making this, again, the highest first- semester tax effort ever achieved. Dominguez said nearly half of the increase in tax effort is attributable to TRAIN. “Our tax effort is now at par with the best-managed economies in the region. It is a tax effort we can very well sustain, especially with the subsequent packages of the comprehensive tax reform program now being deliberated by the Congress,” he said. The TRAIN Law, which was implemented at the start of 2018, contributed P26.6 billion in revenues for the first seven months of the year, part of which is the loss from personal income tax reduction totaling P70.8 billion. “This means we were able to fulfill our commitment of putting more money into people’s pockets,” Dominguez said. From January to August of this year, total revenue collection reached P1.91 trillion pesos, which is 19 percent higher than the same period last year and makes up 67 percent of the total full year collection program. The Bureau of Internal Revenue (BIR) achieved a 13.5 percent increase in collection mainly due to the impact of the TRAIN Law and continued improvements in tax administration, while the Bureau of Customs (BOC grew its collections by 35 percent. Non-tax revenues likewise went up by 35 percent compared to the level of the same period last year. Government spending outpaced revenue growth for the first eight months of the year climbing to P2.2 trillion, which is 23 percent higher than last year. As a result, the cumulative fiscal deficit rose to P282 billion, a 60 percent spike compared to last year’s deficit level of P176.2 billion as the government continued to finance its infrastructure program meant to boost economic growth, Dominguez said. Dominguez said the Development Budget Coordination Committee (DBCC) revised the fiscal program for 2018, lowering the revenue target by P26.6 billion to account for the delay in the implementation of the electronic receipts and fuel marking programs. For 2019, the revenue target was also lowered by P40 billion due to the possible suspension of the oil excise tax, and by P8 billion more because of the continued delay in the implementation of the e-receipts program, he added. But these lowered targets will partially be offset by the additional value-added tax (VAT) of P14 billion to be collected from elevated oil prices, which would bring the net loss from the suspension of oil excise taxes to P26 billion, Dominguez said. The DBCC, Dominguez said, has already submitted its recommendation on the suspension of oil excises to President Duterte. “We have not received an official response to it, but I believe the President will approve it,” he said, adding that the suspension will become effective Jan. 1, 2019, giving Malacanang ample time to deliberate on the DBCC’s recommendation. For 2021 and 2022, the targets were adjusted to account for the implementation of Package 2 of the CTRP or the corporate income taxation reform, Dominguez said. The Finance chief said government spending, which will also continue to be a growth driver for the economy is expected to reach 20.7 percent by 2022. Meanwhile, the fiscal deficit target, which was adjusted to 3.2 percent of GDP in 2019 will revert to 3 percent until 2022 to allow enough fiscal space to fund economic investments, he added. With sustainable fiscal policy and prudent debt management, Dominguez said the DOF expects the debt-to-GDP ratio to continue its downward trajectory path in the medium-term from 42.1 percent in 2017 to 38.6 percent in 2022. This will be supported by a financing program that will continue to favor domestic borrowings, following a 65:35 mix in 2018 and a 75:25 mix from 2019 to 2022, he said. “Our proactive liability management agenda has decreased the burden of debt on our budget, creating more fiscal space to fund social commitments,” Dominguez said, as he pointed out that as a percentage of revenues, interest payments are now down from 31.7 percent in 2006 to 12.6 percent in 2017. As a percentage of expenditures, interest payments are down from 29.7 percent in 2006 to 11 percent in 2017. As of end-August 2018, both of these ratios continue to decline, now at 12.5 percent and 10.9percent, respectively, Dominguez said. For 2019, the budget of the DOF and its attached agencies in terms of the cash-based system are as follows: BIR, P8.1 billion; Bureau of the Treasury, P6.1 billion; BOC, P2.6 billion; Office of the Secretary, P843.3 million; Securities and Exchange Commission, P618.42 million; Bureau of Local Government Finance, P269 million; Privatization Management Office, P83 million; National Tax Research Center, P66.11 million; Central Board of Assessment Appeals, P20.6 million; and Insurance Commission, P6,000.